Fellow of The Japan Society of Applied Physics (JSAP), 2018. “The 16th Y. Z. Hsu Scientific Chair Professor,” Far Eastern Y. Z. Hsu Science and Technology Memorial Foundation, 2018. “Mozi Award,” International Society for Optics and Photonics (SPIE), USA, 2018. “Futuristic Breakthrough Technology Award,” Future Tech, Ministry of Science and Technology (MOST), Taiwan, 2017. Fellow of American Association for the Advancement of Science (AAAS), 2016. "The 14th Y. Z. Hsu Scientific Paper Award," Far Eastern Y. Z. Hsu Science and Technology Memorial Foundation, 2016. President of Taiwan Information Storage Association (TISA), 2015. Distinguished Information Storage Award, Taiwan Information Storage Association (TISA), 2015. Corresponding Member of International Academy of Engineering, 2015. Fellow of International Society for Nano Manipulation, Manufacturing and Measurement (3M NANO), 2014. 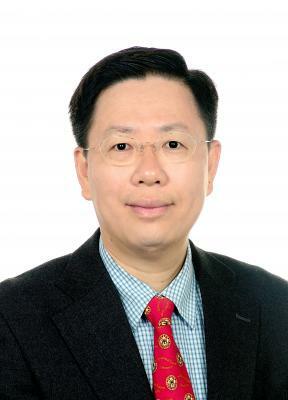 President of Taiwan Photonics Society (TPS), 2013-2016. Academician of Asia Pacific Academy of Materials (APAM), 2013. Fellow of Institute of Electrical and Electronic Engineering (IEEE), 2012. Fellow of American Physical Society (APS), 2007. Fellow of the Electro Magnetics Academy (EMA), 2007. Fellow of Optical Society of America (OSA), 2006. Fellow of The Physical Society of R. O. C., 2006. Fellow of International Society of Optical Engineering (SPIE), 2005. "Outstand Research Award," National Science Council (NSC), Taiwan, 2013. “Outstanding Academic Award,” Ministry of Education, Taiwan, 2011. “Outstanding Research Award,” National Taiwan Universtiy, Taiwan, 2010. "Outstanding Research Award," Pan Wen Yuan Foundation, Taiwan, 2010. "Outstand Research Award," National Science Council (NSC), Taiwan, 2010. “Research Achievement Award,” Taiwan Information Storage Association (TISA), Taiwan, 2009. "Ho Chin Tui Awards," Ho Chin Tui Foundation, 2009. Member of Committee, OSA Fellows and Honorary Members Committee, Optical Society of America (OSA), 2008, 2009. "Science 50 Award," National Science Council (NSC), 2008. “Honorable Guest Professor (HGP),” Shizuoka University, Japan, 2008-. “The Distinguished Optical Engineering Award,” Optical Engineering Society of R.O.C. (ROC-OES), Taiwan, 2007. “Distinguished Professor,” National Taiwan University, Taiwan 2006. “Chemical Engineering Technology Award,” Chemical Engineering Society of Taiwan, Taiwan, 2006. “Excellent Industry-Academy Cooperation Award,” Ministry of Education, R. O. C., 2006. “Outstanding Achievement Award in Science and Technology”, The Executive Yuan, R.O.C., 2006. “Fu Ssu-Nien Award,” National Taiwan University, Taiwan 2005. “Outstanding Research Group Award,” Taiwan Information Storage Association (TISA), Taiwan, 2005. “Distinguished Alumni Award,” Soochow University, Taiwan, 2005. “Outstanding Optical Technology Contribution Award,” Optical Engineering Society of R.O.C. (ROC-OES), Taiwan, 2005. “Outstanding Research Contribution Award,” National Taiwan University, Taiwan, 2004. “Excellent Senior Teacher Award,” National Taiwan University, Taiwan, 2004. “Golden Pen Award,” Electronic Monthly Magazine, Taiwan, 2004. “Outstanding Research Award,” Taiwan Information Storage Association (TISA), Taiwan, 2004. “Research Awards,” National Science Council, Taiwan. 1995, 1996, 1998, 2000 and 2001. “Student Paper Awards,” Annual Meeting of PSROC 2018, Taipei, Taiwan, 2018. “Student Paper Awards,” Optics&Photonics, the International Conference (OPTIC2017) Kaohsiung, 2017. “Student Oral Awards,” Optics&Photonics, the International Conference (OPTIC2017) Kaohsiung, 2017. “Student Paper Awards,” The Taiwan Informational Storage Association (TISA 2017), Taipei, Taiwan, 2017. “Student Oral Paper Award,” The Asia-Pacific Conference on Near-field Optics (APNFO), Tainan, Taiwan, 2017. “Student Paper Award,” The Asia-Pacific Conference on Near-field Optics (APNFO), Tainan, Taiwan, 2017. “Student Paper Award,” The 8th International Conference on Surface Plasmon Photonics, Taipei, Taiwan, 2017. “Student Paper Award,” annual Meeting of Taiwan Photonics Society, Taipei, Taiwan, 2016. “Best Poster Award,” Global Nanophotonics 2016, Osaka, Japan, 2016. “Best Poster Award,” International Symposium on Optical Memory (ISOM 2016), Kyoto, Japan, 2016. “Best Poster Award,” The Taiwan Information Storage Association (TISA 2016), Taipei, Taiwan, 2016. “Best Poster Award,” The European Phase Change and Ovonic Symposium (E\PCOS 2016), Cambridge, UK, 2016. “Best Poster Award,” The 9th International Conference on Nanophotonics (ICNP 2016), Taipei, Taiwan, 2016. “Best Poster Award,” The Taiwan Information Storage Association (TISA 2015), Taipei, Taiwan, 2015. “IAC Poster Award,” The 10th Asia-Pacific Conference on Near-field Optics (APNFO10), Hakodate, Japan, 2015. “Best Poster Award,” The 3rd International Conference on Frontiers of Plasmonics, Xiamen, China, 2014. “Best Paper Award,” Japan Taiwan Bilateral Conference on Biomedical and Plasmonic Imaging, Taipei, Taiwan, 2014. “Best Poster Award,” 2014 Annual Meeting of the Physical Society of Republic of China, Taichung, Taiwan, 2014. “Best Poster Award,” 2013 Asia-Pacific Data Storage Conference (APDSC'13), Hualien, Taiwan, 2013. “Best Poster Award,” The 7th International Conference on Materials for Advanced Technologies, Singapore, 2013. “Best Poster Award,” International Workshop Photonics of Functional Nanomaterials, Hong Kong, 2013. “Best Paper Award” 2013 Annual Meeting of the Physical Society of Republic of China, Hualien, Taiwan, 2013. “Best Paper Award” Taiwan-Japan Nanophotonics and Plasmonic Metamaterials Workshop, Taipei, Taiwan, 2012. “Best Paper Award” Annual Meeting of the Physical Society of Republic of China, Chiayi, Taiwan, 2012. “Outstanding Poster Presentation Prize” The Sixth International Conference on Nanophotonics, Beijing, China, 2012. “Best Paper Award,” International Photonics Conference, Tainan, Taiwan, 2011. “Best Paper Award,” The 15th Nanoengineering and Microsystem Technology Workshop, Taipei, Taiwan, 2011. “Best Poster Award,” The 8th Asia-Pacific Conference on Nanophotonics and Near-Field Optics (APNFO8), Adelaide, Australia, 2011. “Best Academic Paper Award,” Joint International Symposium on Optical Memory & Optical Data Storage (ISOM/ODS 2011), Kauai, Hawaii, 2011. “Best Poster Award,” International Conference on Materials for Advanced Technologies (ICMAT 2011), Singapore, 2011. “Outstanding Poster Award,” International Conference on Nanophotonics (ICNP 2011), Shanghai, China, 2011. "Best Paper Award", 2010 International Conference on Optics and Photonics in Taiwan (OPT'10), Tainan, Taiwan, 2010. “Best Poster Paper Award”, The International Conference on Nanophotonics 2010, Tsukuba, Japan (2010). “Best Poster Paper Award”, The 11th International Conference on Near-Field Optics, Nanophotonics and Related Techniques (NFO-11), Beijing, China (2010). “Best Poster Paper Award,”, The International Conference on Fundamentals of Laser Assisted Micro-& Nanotechnologies (FLAMN-10), Pushkin, Russia (2010). “Outstanding Poster Award”, The 5th International Conferences of Asia Pacific Data Storage Conference (APDSC08), Jeju Island (2008). “Outstanding Poster Award”, The 4th International Conferences of Asia Pacific Data Storage Conference (APDSC06), Hsinchu, Taiwan (2006). “Best poster Award,” The 4th International Conference of Seeing at the Nanoscale, Pennsylvania, U.S.A. (2006). “Best poster paper,” 2006 Annual Conference of Microscopy Society, Taiwan (2006). Winner of “Image of Month” Contest, Asylum Research Company, Santa Barbara, California, U.S.A., March 2006. “Best poster paper,” International Conferences of 5th Asia-Pacific International Conference on Near-field Optics (APNFO5), Niigata, Japan (2005). “The most impressive presentation award,” European Phase Change and Ovonic Science Conference 2005, Cambridge, UK (2005). “Best poster paper,” International Conferences of Asia Pacific Data Storage Conference (APDSC04), Taoyuan, Taiwan (2004). “Best poster paper,” International Conferences of 4th Asia-Pacific International Conference on Near-field Optics (APNFO4), Taroko, Taiwan (2003). “Best poster paper,” International Conference of Focus on Microscopy (FOM2002), Kaoshiung, Taiwan (2002). 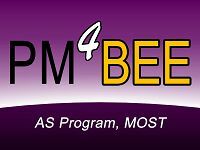 “Best poster paper,” International Conference of 3rd Asia Pacific Workshop on Near Field Optics (APNFO3), Melbourne, Australia (2001). “Best poster paper,’ International Conference of Multi-dimension Microscopy (MDM2001), Melbourne, Australia (2001). “Best poster paper,” Chinese Photonics Society (IEEE LEOS Taiwan) Annual Meeting (1999, 2004). “Best poster paper,” Chinese Physics Society Annual Meeting (1996, 1999, 2000, 2001, 2003, 2006). “Best poster paper,” Chinese Material Science Society Annual Meeting (1996, 1997). Winner of world wide image contest held by Digital Instruments Inc., USA, “AFM image of a polarization maintaining fiber– a bowtie fiber” was printed as a 1997 calendar.